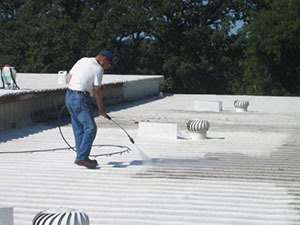 Whatever commercial roofing services in Dundalk, MD that you are needing to be done, Capital Coating has you covered. We are your one-stop, full-service commercial roofing company in the area. With over 20 years industry experience and a solid reputation in the community, Capital Coating is a company that you know you can trust. With such a large variety of expertise in every area of commercial roofing, we will find the perfect fix to your commercial roofing problem. So give us a call today at (717) 442-0979. What makes our company stand out from the rest is that we can handle it all. Our fully licensed and insured technicians have successfully completed every type of commercial roofing project from start to finish. While a lot of commercial roofing companies offer roof repair and replacement and a lot of painting companies will come to your site only after it has been cleaned and is ready to paint, our company is different. 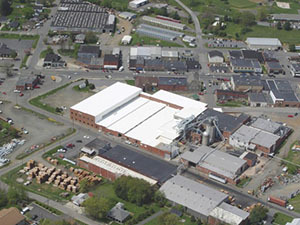 We offer any commercial roofing services in Dundalk, MD, from routine inspections to compete and total replacement. We also offer paint, rust, and debris removal through our sandblasting cleaning process, so you don’t have to do any paint preparation. We deal with metal roofs, all single-ply roofing including EPDM (rubber roofs), TPO, and PVC, flat roofs, foam roofs, and leak detection. Our cool roof options can save you as much as 30% on your energy bills every year. Our comprehensive and thorough roof inspections could save you thousands in replacement. After the inspection, you can expect a detailed consultation in which we will discuss our findings, answer any questions that you might have, and advise you as to what the best course of action for your specific project should be. If your roof can be repaired, we will advise that those repairs be done rather than a more costly roof replacement. If your roof is just not a good candidate for roof repairs and needs to be replaced, then we will show you your roofing options for replacement. If you are a good candidate for roof coating, which could save you time and money and extend the life of your current roof, then we can quickly and easily apply a roof coating to eliminate your roofing issues. At Capital Coating, our goal is to become the most respected and trusted commercial roofing company in the area. With state-of-the-art equipment, we are able to provide the highest quality workmanship. Whatever your commercial roofing need is today, call Capital Coating now at (717) 442-0979. We’ve got you covered.